Vacations are great, but let’s face it. Sometimes you go somewhere, and you don’t necessarily want to leave your hotel room *cough* honeymoon! *cough. 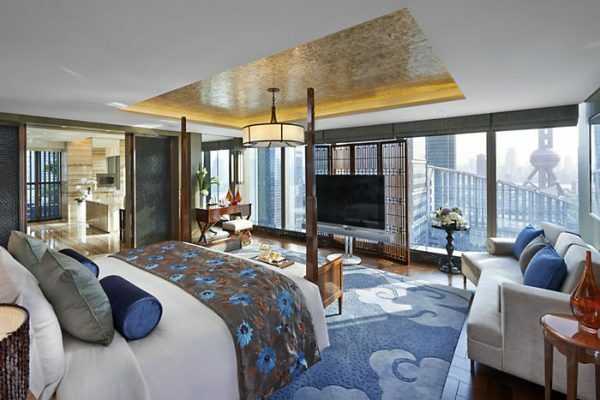 * But seriously, this week we’re having a look at a few of the world’s most luxurious hotel rooms and suites. Okay, they’re the tenth through sixth of the most expensive hotel rooms in the world, right now. Shut up and take my money! That is, if I had enough money for even a night at one of these beauties. Come on, Powerball! In the meantime, shut up and take my bad check! Vote for your favorite below! 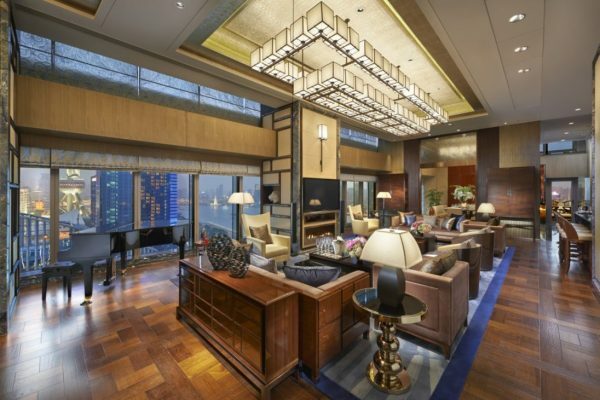 Next week, we count down the top five most expensive hotel suites in the world. 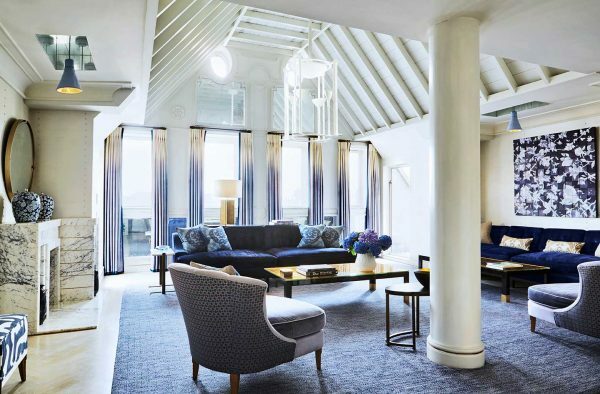 Designed by renowned interior designer David Collins, the Apartment is billed as a “home away from home for beauty connoisseurs.” The living room features custom-made furniture, specially selected art, unique antiques, and a number of limited edition books. You’ll be provided with a personal chauffer, a personal butler, a bottle of Krug champagne, a personal chef for up to eight people, and a personal valet to press your outfit for a night on the town. They’ll even extend the suite to up to three bedrooms, if you wish. Sound good? An average’s night’s stay will set you back around $23,500. 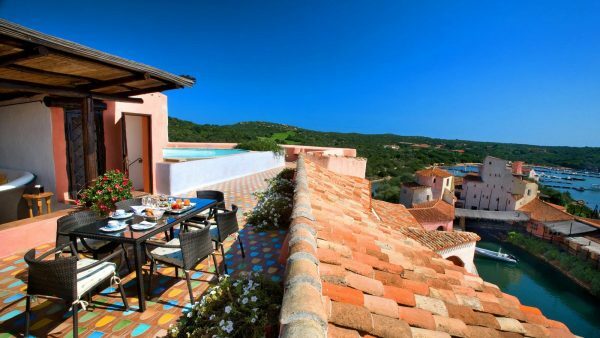 This beautiful 3 bedroom, 3 bathroom suite atop the Hotel Cala Di Volpe in Sardinia features a private pool, private gym, rooftop dining for eight, a solarium, a private wine cellar, and at 4,844 square feet, is larger than most people’s houses. It’s even furnished entirely by local artisans. With a spectacular view of the Italian coastline, this beauty which will sleep you and eight of your friends will only cost around $26,000 per night. What a deal! Located on the top floor, the Shangri-La suite features panoramic views of the Bosphorus Strait, 2 bedrooms, 2 bathrooms, and the main bathroom features marble, heated floors, and a 19-inch television embedded in the mirror. 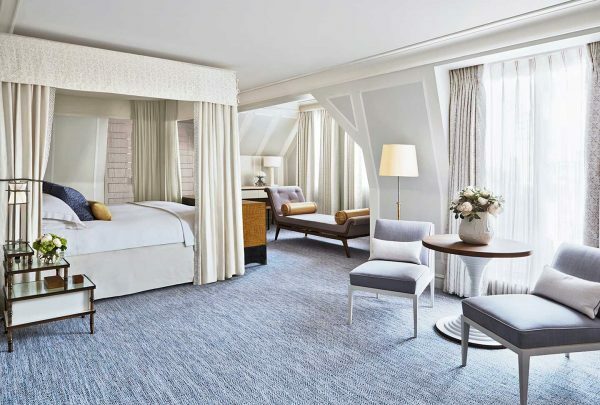 At 3,940 square feet of luxury, you’ll also enjoy Bvlgari toiletries, 800-thread count linens, free international dialing, a minibar, and coffee and tea service. Each bedroom as well as the living room has a private terrace. $26,385 per night. This 2 bedroom, 2 bathroom suite is located on the 25th floor. Featuring all of the modern amenities one could wish for – unlimited high speed internet, 65-inch LED televisions in every room, iPod docking and the latest entertainment and audio, it also features its own private wine cellar, a 3-meter wine bar, a fully-equipped kitchen, two private roof gardens, and a private dining room. There’s even a 164-square foot bathroom with a soaker tub and its own steam room, and you’ll be treated to twice-daily maid service, butler service, private car service, top quality linens, and even silk kimonos! Only $26,450 per night. 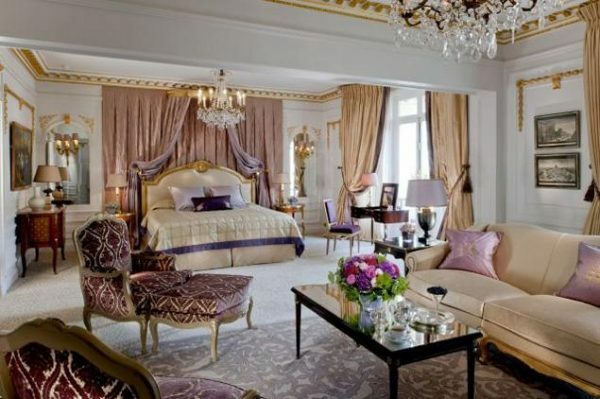 This is the largest hotel room in Paris, and it features an 18th century Regence period theme. The stunning suite features 3 living rooms, private Jacuzzi and steam room, private kitchen, and more. 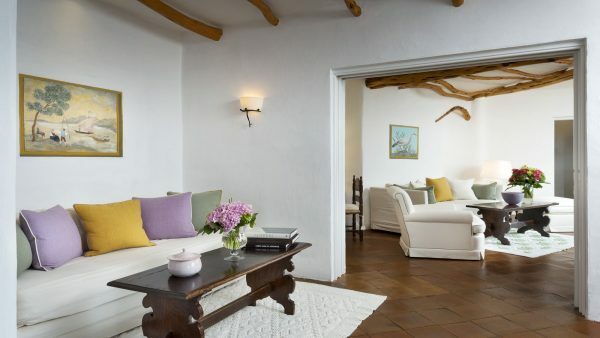 Designed by interior designer Mari-José Pommereau, the 4,843 square foot space is 2 bedrooms and 2 bathrooms. 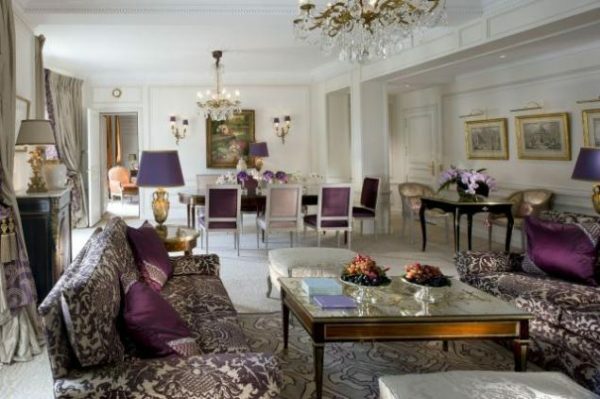 The suite overlooks the Eiffel Tower and features Italian marble sourced from Verona. An average stay will set you back $27,000 per night. The World has a good many wonderful libraries. Here are five.